Leaves color green sword-shaped leaves grow in groups linked together. Flower color yellow brown shape of the flower creates cone shape. 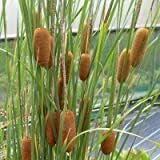 Cattail Plant Seeds! 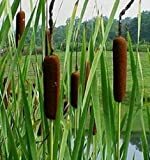 They make great pond plants! 100 SEEDS! Comb. S/H!